At Andamur we want to provide added value to professional drivers, that is why we are launching a Corporate Social Responsibility plan: #WeLookAfterWhatMatters. This is the motto of our CSR plan and with it we wish to provide added value to and take good care of drivers, enabling them to work out, follow a healthy diet, focus on driving ergonomics, get some rest or have a good time. 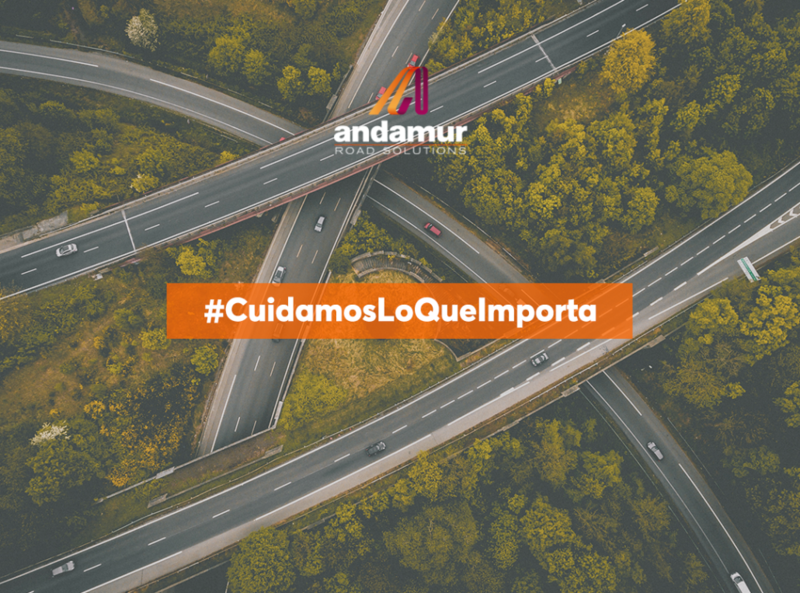 In addition, with this CSR programme we intend to give back to society what it contributes to us as a company, without forgetting Andamur’s four other main sustainability pillars: Environment, People, Civil Society and Transparency and Communication. This CSR plan was initiated at the end of 2018 when we opened the Andamur La Junquera gym, the only one located in a service station in the whole country; with it we wanted to offer lorry drivers the opportunity of working out. Throughout 2019, #WeLookAfterWhatMatters will address different areas of lorry drivers’ health to help them improve them. We started offering them the possibility of following a healthy and balanced diet. We are aware of how difficult it is for professional drivers to find healthy food in their routes. In addition, the number of hours the spend sitting while driving leads to many of them suffering from cholesterol, overweight, cardiovascular or digestive system problems. At Andamur, we are committed to reducing this problem and we have worked on different actions to provide access to healthy food in road routes, vitamin intake through fruit consumption, or to raise awareness on the importance of following a balanced diet by sharing tips and useful content on how to improve eating habits in routes in our social media channels. All this will become a reality through specific actions in February and March. Pay attention to the details! Si continua navegando, consideramos que acepta su uso. Puede cambiar la configuración u obtener más información en el siguiente enlace. We use our own and third-party cookies to perform usage and measurement analyzes of our website to improve our services.